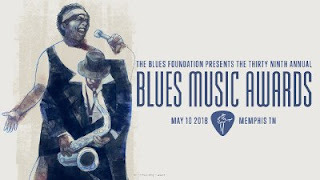 The Blues Foundation has announced that, for the first time ever, the announcement of the nominees for its annual Blues Music Awards will be broadcast around the world. The Blues Foundation has teamed up with the Ditty TV Network and William Bearden Productions for this special presentation that will take place on January 9th at 10 AM CT. Blues and roots music fans everywhere will be able to discover who are the contenders for the 2018 Blues Music Awards as they are publicly revealed. The broadcast can be watched on Ditty TV from any connected device at https://dittytv.com/watch/ or by going to AppleTV (https://apple.co/2lYhCxq), Roku (http://bit.ly/2Cxgjwh) and FireTV (http://amzn.to/2AxBGfi). It can be viewed too on the Blues Foundation’s own Facebook page, http://bit.ly/2EbCGbf. Serving as hosts for the nomination announcements will be legendary bluesmen Bobby Rush, John Nemeth, and Kenny Neal. Besides being winners of numerous BMA Awards, the three musicians also are colorful entertainers who will certainly make for a memorable broadcast. This year, the prestigious Blue Music Awards will give out honors in 26 categories, including two new ones: Blues Rock Artist of the Year and Instrumentalist: Vocals. Blues Foundation membership costs as little as $25 per year, which includes a ballot to vote for the 2018 Blues Music Awards. Visit www.blues.org and click on the Join Now button. Honoring the past year’s superior achievements in blues performance, songwriting, and recording, the Blues Music Awards are internationally recognized as the highest accolade for blues musicians and the premier event for blues professionals, musicians, and fans throughout the world. Nearly every nominee not only attends the Awards show, but they also perform at it – creating a lineup that presents the best of the best in blues all in one evening.